Goal: To promote the services of Maureen Brown for wedding and events planning to brides of the lower mainland. Scope: Moved the blog posts from WordPress.com to Self hosted account and create a new site around an established logo and brand. 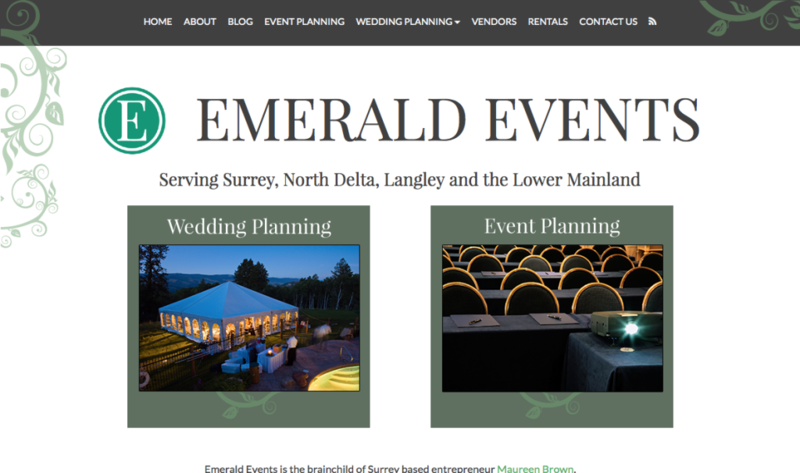 Result: Emerald Events has received 5 star testimonials from wedding customers who found her services via the website results in more hires and a solid track record wish shows prominently on the front page of the site. 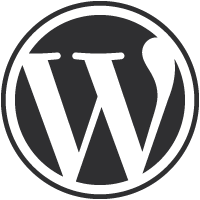 Goal: Combine 5 different websites into one WordPress multisite for easier usability and searchability on both the admin and user sides of the project. Target Audience: Photography enthusiasts, photographic fine art collectors, magazine & book publishers, photography students. Scope: Complete rebranding and revamp of all Art Wolfe web properties. All sites were made responsive from any viewport. Entire site including video was converted to HTML5 for mobile and tablet viewing. Email Marketing was combined into one service and templates were streamlined. Result: Individual session duration and new user sessions have both increased by approximately 23% in the year following launch. Email Marketing reach has increased 71% since launch. Staff time spent on managing products and marketing is streamlined and produces results. Goal: Update website to reflect current branding and accentuate upbeat clientele and ambiance; integrate email signup for arts events. 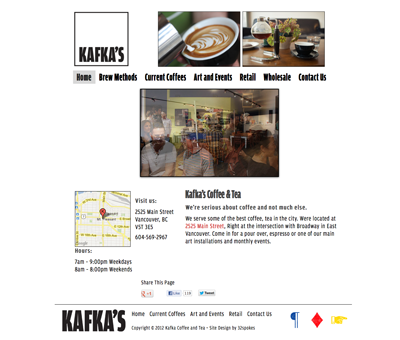 Target audience: Vancouver coffee geeks, Mount Pleasant residents. Scope: A self-managed website to boost online presence in a saturated market. Result: Heightened visibility underscoring style and quality in a highly competitive business.